HTC One was considered as the best phone of last year by most of the tech community with a spectacular bright and clear SLCD display and ultra quality boom sound. HTC One Max, the Next HTC flagship phone which has been rumored and speculated all over the internet for quite some time and with the confirmation of HTC event, we can safely say that this smartphone will be launched in Hong Kong on October 16TH!! This phone is similar in Body design to HTC One and will sport a larger 5.9 Inch Full HD 1920 x 1080 Pixel display that will giv e you 373 pixels per inches. This phone also comes with Built in speaker Amplifiers and Beats Audio. The processor is rumored to be Qualcomm APQ8064 Snapdragon 600 Quad core processor with 1.7 GHz Krait 300 power efficient cores. The processor will be further assisted by Adreno 320 GPU. 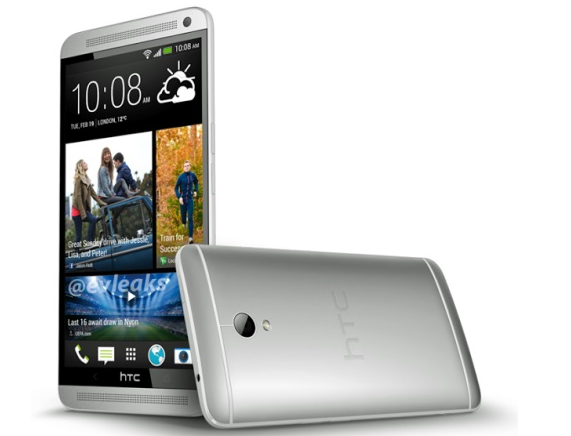 The RAM capacity is 2 GB and HTC is expected to launch 32 GB and 64 GB internal storage variant. The internal storage will not be expandable. The camera of this phone will be 4 MP Autofocus camera with LED flash. The pixel size is enlarged to 2 micrometer (UltraPixel) similar to HTC One for better low light performance. HTC has also provided with Optical image stabilization to counteract motion blur. The camera will be capable of Full HD 1080p recording at 30fps. A 2.1 MP wide angle lens camera is present on the front panel for video calling. The Battery capacity is expected to be 3300 mAh and this time the battery might be removable. The phone is also rumored to have a finger print scanner which was made popular with iPhone 5S launched last month. Most of these are rumored specifications which are most likely to be true. HTC is taking Indian market seriously as is evident from its “Here to Change” campaign and this means HTC One Max will soon find its way to India.